Back to basics: what is the real power of story? Again this week, I have a dilemma, in the form of two divergent threads that I would like to write about. Both of these topics were stimulated once more by my work in New York over the past nine days. In fact, without watching much news or discussing it with people, I have nonetheless seen quite a lot of interesting material about the extreme polarization of modern society. Each event, policy decision, declaration or tweet seems to be met with enthusiastic approval from some elements of the population, and great outrage from others. My second theme is the one I addressed in the previous post. Working intensively on the stories of my New York startup has kept me reviewing a myriad of reasons why personal storytelling is such a powerful communication tool. Our recent toils in this domain have sharpened my focus about why we should indeed do the hard work to get the personal and corporate narratives right. Now that I have returned to Europe, it still seems appropriate to tackle both subjects—polarization and the power of narrative—perhaps as alternating posts in the weeks to come. We’ll have to see about that as the days unfold, since I feel that there is much more to say on both fronts. Today, I would like to summarize some of the salient reasons why my conviction about the effectiveness of narrative-based discourse in corporate communication continues to grow. In particular, the more I have worked with young companies looking for funding, the more clearly I have come to see the advantages of storytelling. So, here are six of my favorite reasons why I have come to believe so strongly in this type of discourse. Each of them is worthy of a separate blog, which is something I may yet do one day. Reason #1: A story is simply easier to follow than a rational argument. Years ago, during research for my doctoral dissertation, I read considerable literature in the fields of psychology and neurology, and it all points to one conclusion: story—not logic or rational argument—is the natural language of the human mind. Reason #2: Story allows us to reach people in deep ways, to engage listeners on multiple levels. Some researchers claim that stories are powerful communication devices because they touch the entire brain—the left (feeling) hemisphere as well as the right (logical and rational) hemisphere, the subconscious as well as the conscious. Thus, we simultaneously feel the stories as well as understand them. Reason #3: When you make a presentation to potential investors, you should not lose sight of the fact that they are not merely looking for information. They are also seeking to “know” you, to see something of your character. While they may not express this as they examine your numbers and your strategies, they are judging the person in front of them, trying to see if you have the energy and persistence to lead the project to fruition. The best way to show them these elements of character is through telling personal stories of identity. Reason #4: Telling stories keeps your audience in a conversation, even brings them in as participants. Showing slides, or expressing yourself through rational argument, puts you in “presentation mode”, creating a distance between you and the audience. Telling stories closes that distance, by putting you in a lighter, more conversational mode with the listeners. Reason #5: Each telling of a personal or corporate narrative is an opportunity to take the listeners on a journey. Often, I tell entrepreneurs that their stakeholders—employees, customers, investors and others—would like to feel part of something meaningful. 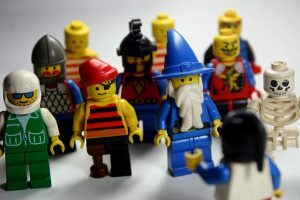 Effective startup leaders use storytelling to persuade people that this team is a group of heroes, providing new and innovative solutions to significant problems. Reason #6: Everyone else is doing slide presentations. Most of us in the world of organizations see so many of them these days that they are losing their impact. To me, a presenter can have more influence in his or her world simply by doing it another way, as a narrative-based conversation. I have seen time and again how much this simple change in approach will help you stand out from the crowd, and achieve the goal of connecting with your audience.